Date of publication: 18 May 2015 . Contents Interior small kitchenOn the one hand, it is not easy, but if you approach it with the mind, it can be done effectively. First, let's define what can be considered a small kitchen: kitchen area is no more than about 8 square meters. 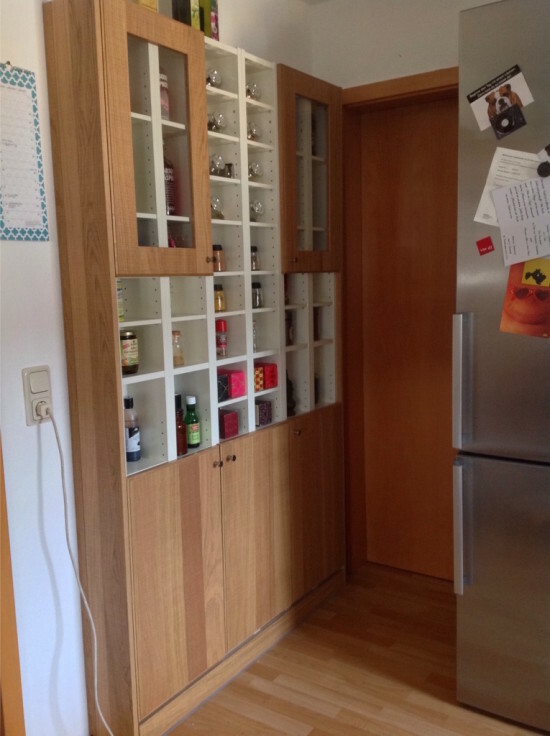 Also, this category includes narrow and communicating kitchen, and the kitchen has an irregular shape. The purpose of our alterations - to get a beautiful and functional kitchen, with the right selection furniture. Typically, planning kitchen interierDesigners do not recommend to place the hob plate or next to the sink. Between them you need is a small part of the countertop or nightstand. As for furniture, the tall units such canisters is better positioned on both sides of the working surface, thus avoiding its "interrupt". When choosing wall cabinets and their locations should be considered growth hosts, they have to reach to all family members. According to the standard wall cabinets are located at an altitude of 60 cm above the tabletop. 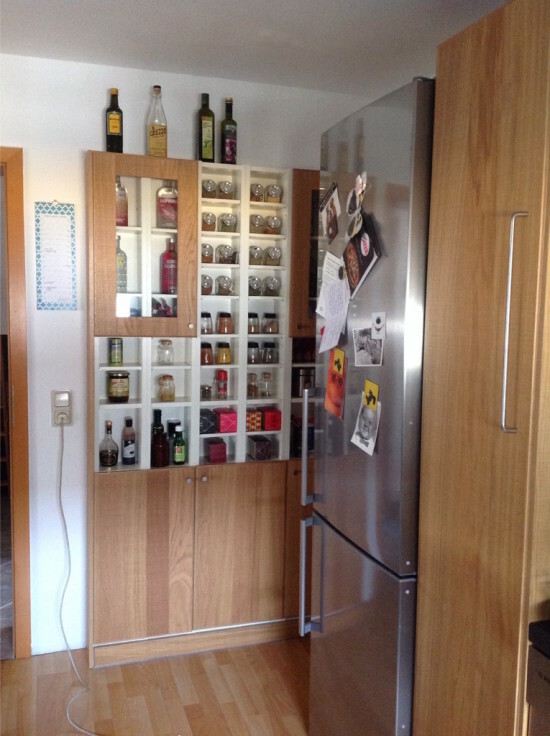 Today we offer you a bright idea for a small kitchen with rack GNEDBI and doors of the collection NORE. Some small kitchen They have a niche in the wall, which is ideal for our rework. Take six racks GNEDBISecurely connect them to each other. Get a nice, if used on top of the glass doors, and bottom - the deaf. For more firmly secure the construction of the wall. - Sets of containers TRIP and much more from catalog of products and accessories IKEA.